These may be my favourite nails I'v ever done. 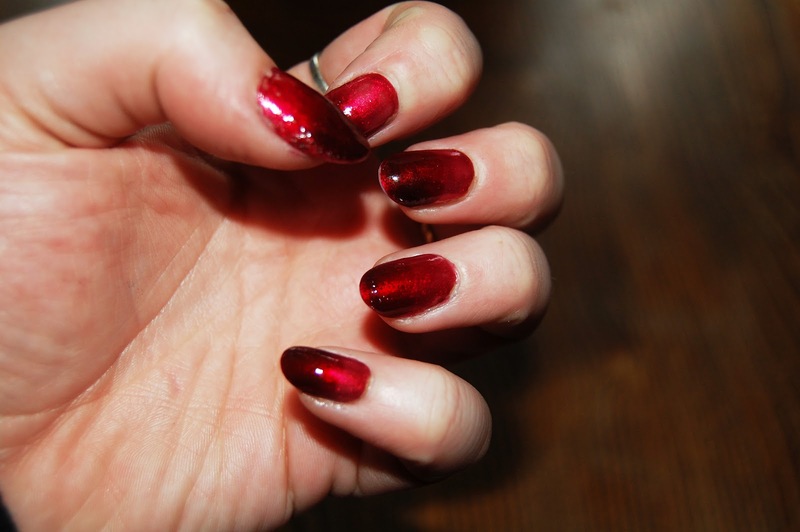 Autumn is here and the classic autumn nail colour is red. 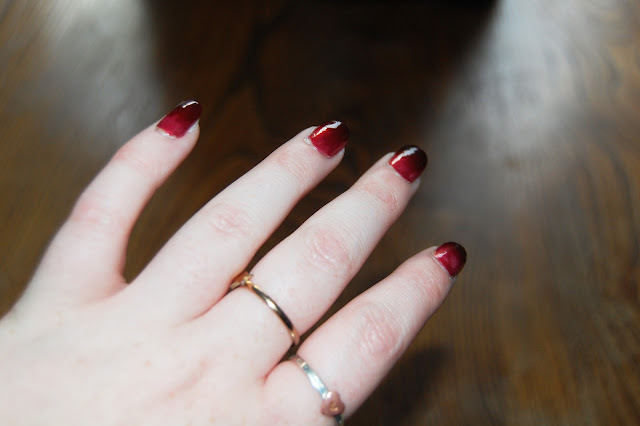 Here I did a twist on the old favourite and did them gradient. I love the two shades of red and they look great on a night out with red lips for a twist on old school glam. I did this in summer with green and pink and the effect looks so much better on the longer nails I've been wearing recently. Here is the link to how I did them, they're really easy and great for people who can't do fiddly patterns like me! I'm in love with these nails. I can't get enough of dark red at the moment. Will have to give them a go!